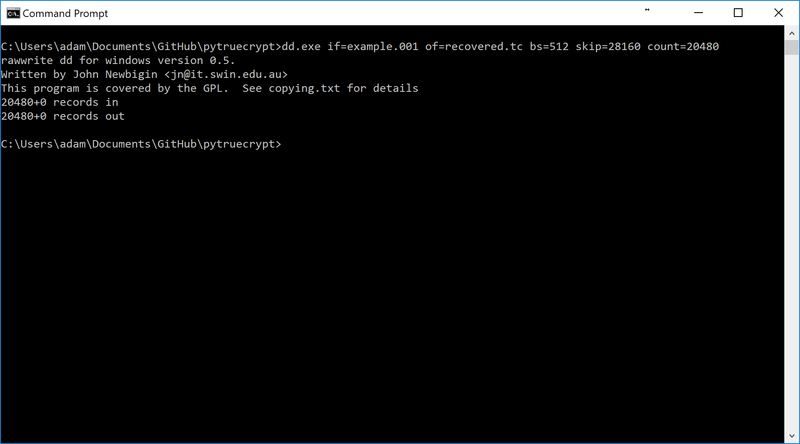 This tutorial explains how to use hunt to locate and recover deleted and/or damaged TrueCrypt containers. These techniques will help you locate the containers but you will require either the password or a memory dump containing the container keys. 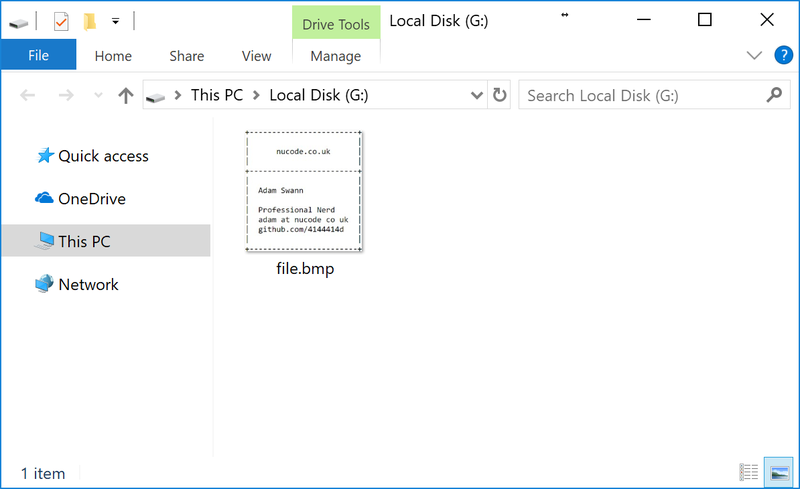 The example was generated by creating an NTFS volume, placing the target TrueCrypt container inside the volume, and then reformatting the volume with NTFS again. This is a contrived example. There are no other files to cause confusion, there is no fragmentation of the container, and none of the TrueCrypt container has been overwritten. It is possible to simply extract the container just by looking at the image and finding the large section of high entropy data. Nevertheless, this should help provide the basic understanding of the process. This tutorial talks about sectors and makes the assumption that they are always 512 bytes in size when you see the word sector think 512 bytes of data. Download the example image here. Before running hunt it is important to understand how hunt is locating the container. A brute force approach for testing all sectors of the image. This is extremely slow and is only useful if you have already extracted what you think is a TrueCrypt header. A chain approach where it looks for sequential sectors of high entropy data. This tutorial only discusses the chain approach. The diagram below shows the entropy (Shannon entropy) of each sector on the disk. We can see a large section of high entropy data from around sector 27701 to around 48476. This is the container. 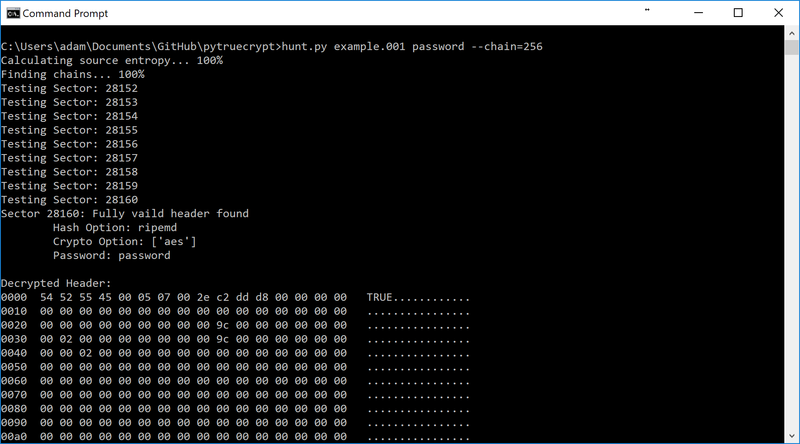 By looking for sections of continuous high entropy we can target the likely locations of TrueCrypt headers. By checking the sectors around 27701 and 48476 we are able to check a small number of sectors as every check will take some time, particularly on VeraCrypt headers. You are not required to do any of this work yourself. hunt will calculate the entropy and do this targeting for you. This section is just explaining what is happening. A few warnings. There will, of course, be high other sections of high entropy on a normal disk. Files such as compressed images or zip files will themselves have high entropy. The time wasted by attempting to decrypt these can be avoided by using a high sector chain count. This works because containers are typically quite large and should stand out against these other files. It is possible to create a container with low entropy and with smaller sections of high entropy. This happens if the ‘dynamic’ option is chosen when creating the container. If this is the case you need to look for the header itself which is only 256 sectors in size. This will cause many more false positives as other files with high entropy may be this small. hunt will look like this when it is run. It starts by calculating the entropy of each sector in the image. It will then locate chains of high entropy. Once these chains have been located it will begin testing sectors looking for valid headers. We can see that it started checking at sector 28152 and found a fully valid header at sector 28160. This whole process took less than a minute and is much faster than trying brute force and test every sector in the image. The headers that have been located are also saved into a text file named results.txt. In this example, two headers were located. This is expected as each container will have a normal header and a backup header. Looking at the decrypted header we can see that they are identical. Please note that they will appear different on the disk as they are encrypted with different salts. 00b0  00 00 00 00 00 00 00 00 00 00 00 00 b1 2d f8 8c   .............-..
00c0  f3 00 d5 78 08 30 66 2f 17 99 08 27 28 17 c2 20   ...x.0f/...'(..
00f0  77 55 00 d4 5b b4 e4 7c 77 7e 5e 65 a3 ec 32 c3   wU..[..|w~^e..2. At this point will know where the headers are and could simply now export the data. However, it is good practice to parse the header and verify our findings. The simplest way to do this is to use the ‘dump.py’ example. Hunt will extract the sectors that are likely to be headers to separate small dd files, in this case, PS28160.dd and PS48384.dd. The names showing they came from physical sector 28160 and 48384 respectively. The command is simply dump.py PS28160.dd. You will then be prompted for the password. This will dump the raw header and then they extracted values for convenience. In this example, we are interested in DataStart and DataSize. We will check that the backup header was found in the right location and will help us know that the file is not fragmented. 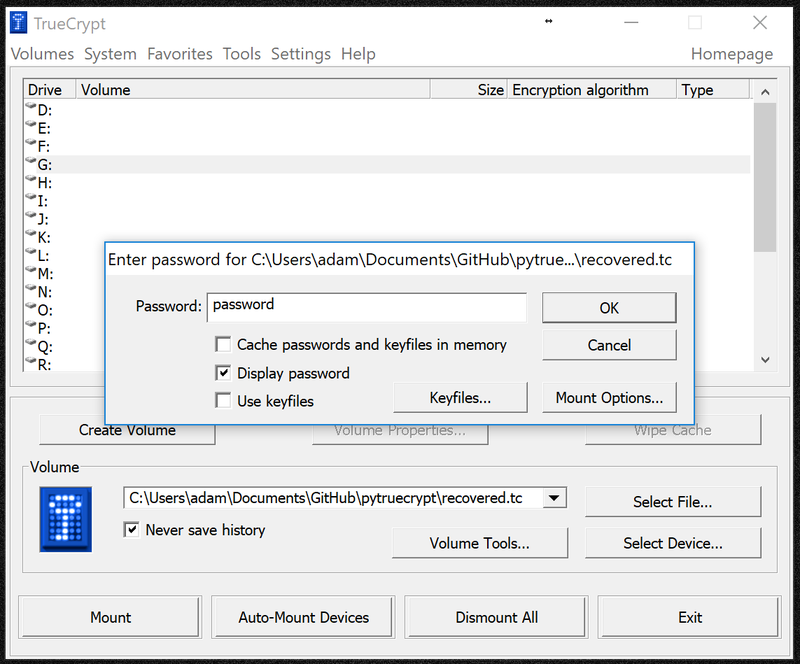 The resulting container can then be opened in TrueCrypt. This means that the header of the container has been overwritten by the images. In order to recover this container, we'll need to locate the backup header and work out where the start of the container should have been. Download the example2 image here. Looking at the FAT volume we can map out the layout of the files. The layout of the first 1024 sectors is shown below. The process for creating this map is not detailed here, it is for explanatory purposes. In this instance, only one header was located at sector 20496. At this point, we cannot be sure if this is a normal header or a backup header. A quick check is to look at the sector that would immediately follow the header. This would be 256 sectors after the header. For this example this would be 20496 + 256 = 20752. Looking at sector 20752 we can see that it is not highly random like we would expect from a container. Therefore we can make the assumption that we have located the backup header. 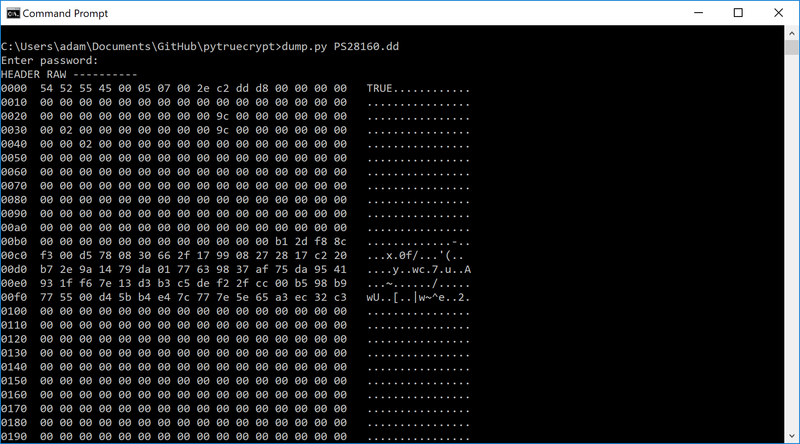 Using dump.py we are able to parse the header that has been located. We can use this to work out where the normal header would have been located using the following formula before. For our example this is 20496 - ((10223616 / 512) + 256) = 272. 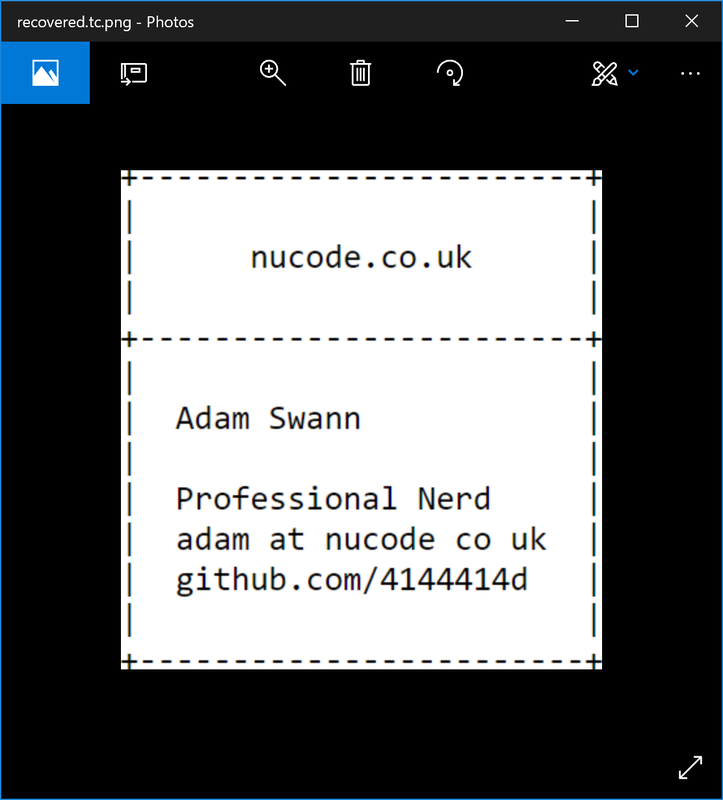 If we go to sector 272 we can see the issue, the header has been overwritten by a png. This explains why hunt wansn't able to recover it. Based on the information we have now we can map out where the TrueCrypt container would have been on the disk. Note this is just for explanatory purposes. If we compare this to the current mapping we can see that the images have overwritten most of the header but the data is thankfully the volume data is intact. Note that even if parts of the volume data have been overwritten we are still able to decrypt them. It just makes the recovery of data within the container more difficult. 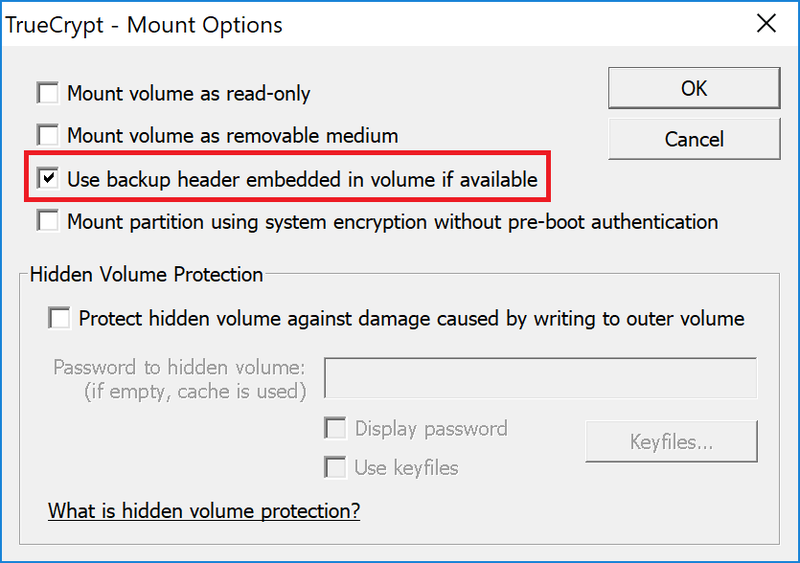 Choosing to use the backup header in mount options will allow us to open the container. One slightly interesting note is that if we add the .png extension to the recovered container most imaging tools will render it a normal image without any issues.